In addition to sculpting and art projects I've also been involved in a miniature related project. 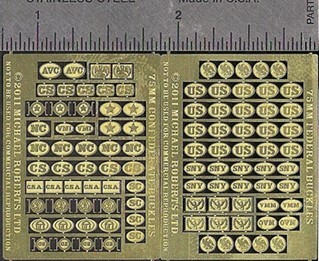 Mike Stelzel of Michael Roberts Ltd has just released two sets of photo etched Civil War belt buckles and cartridge box plates for use with 75mm figures. 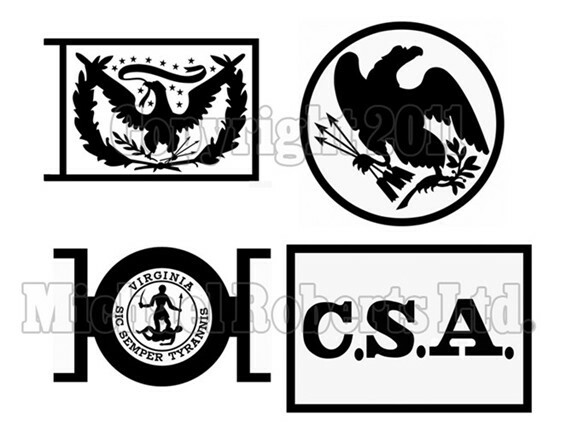 I did a total of seventeen different designs that make up the Confederate and Federal (Union) set. Here is a sample of the designs along with the finished product in photo etched brass. Though the design work plays a major part, the folks that did the photo etching played a major role also. These piece will help save a lot of time (and stress) on future projects. Believe me, sculpting something this size with detail that small is not fun. 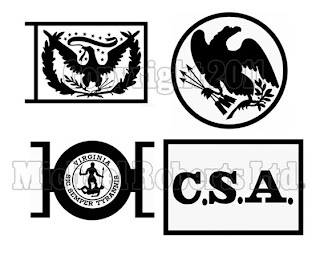 A sample showing four of the designs. The finished product in brass.